How’s this for an absolutely adorable Under the Sea party idea!! This backdrop is so adorable, quick to make, and thrifty, too. I love it because it reminds me of seaweed and barnacles – shimmery, silver barnacles! 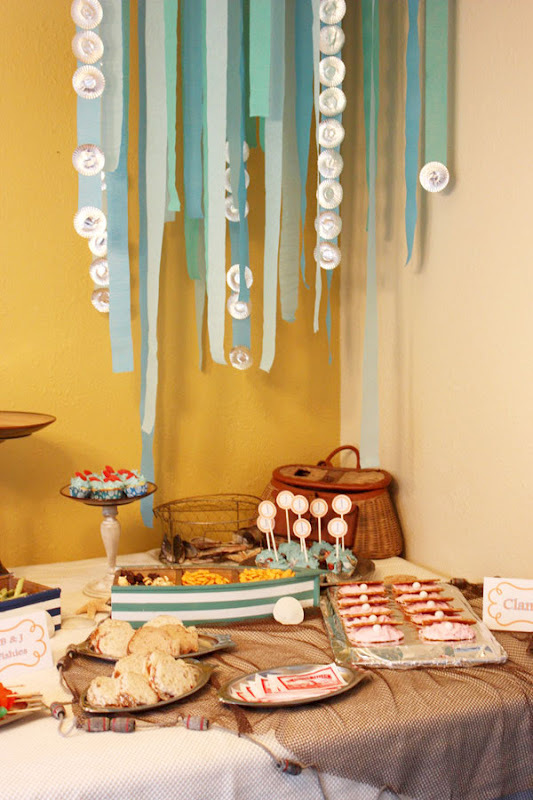 This crafty idea is courtesy of Macey at Olivia Renn, who threw a seashore party for her one-year-old son. The idea is so fabulous and the crafting couldn’t be easier – just metallic silver mini cupcake liners that are flattened and glued to streamers. DONE! LOVE them hung over the food table! You could also put up a whole wall of them to make a dessert table backdrop, or hang shorter strands in a doorway for party guests to pass through (yep, like a bead curtain – how fun would that be!). Reposted with permission from Macey at Olivia Renn. Check out more details of the seashore party here! Shop for personalized Under the Sea theme party paper goods and printables here. 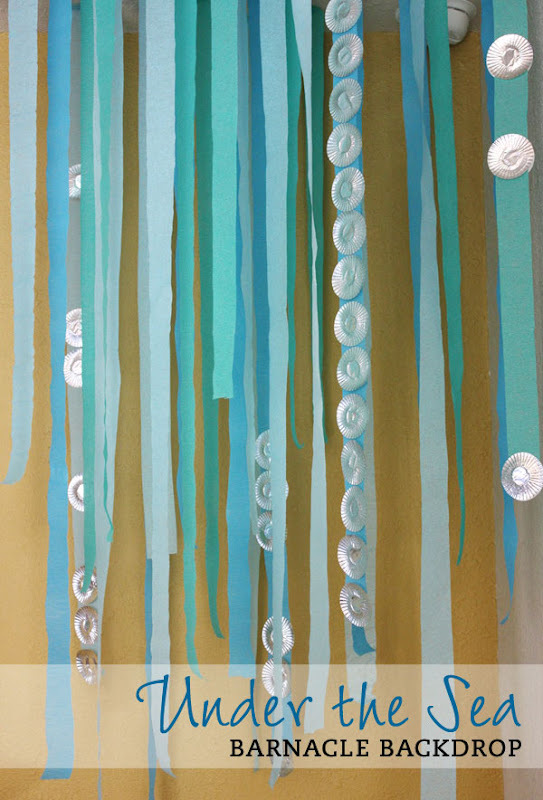 Or, check out more Under the Sea theme party ideas on Pinterest or here on my blog! Love it! Thanks so much for the feature!